This fresh-tasting hummus can be made a day or two in advance but don’t assemble the tomato and cilantro topping until just before serving. 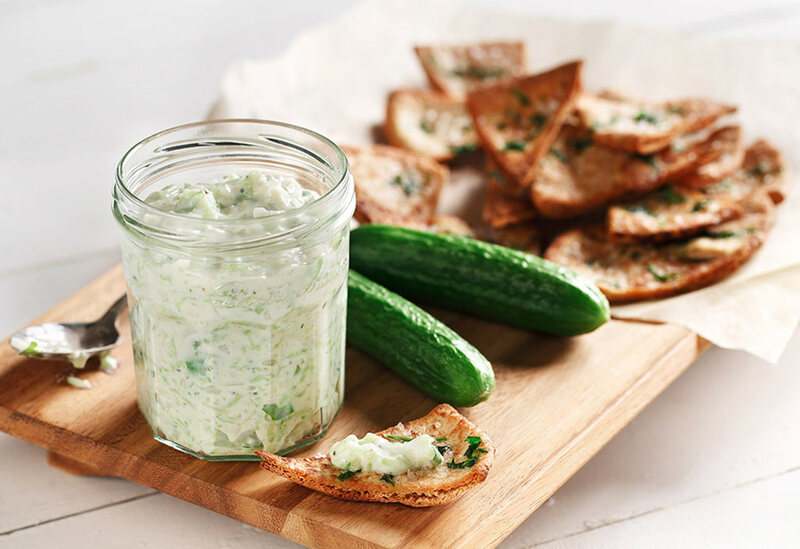 Crisp cucumber slices are perfect for dipping. The neutral flavor of canola oil allows the brightness of the other ingredients to shine. 1. In a small bowl, combine tomatoes, cilantro, lemon zest, lemon juice, canola oil and salt; set aside. 2. 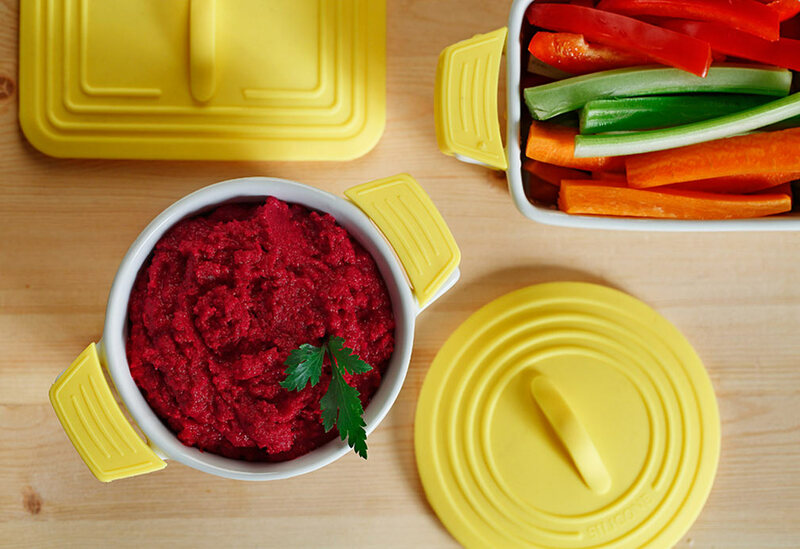 In a blender, combine beans, water, garlic, lemon juice, canola oil, vinegar, cumin, salt and cayenne, secure with lid and puree until smooth. 3. 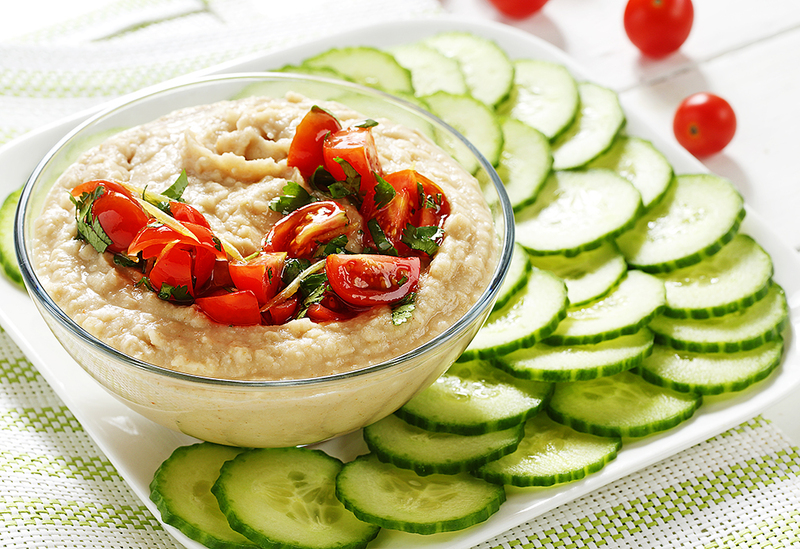 Spoon hummus into a shallow bowl, spoon the tomato mixture over hummus and serve with the cucumber slices. Raitas are used as a cooling dish with spicy Indian dishes. It’s always fun to sneak in a secret ingredient - this one is an egg! Protein satisfies a hungry bunch and this twist on an old favorite is a perfect way to do it. 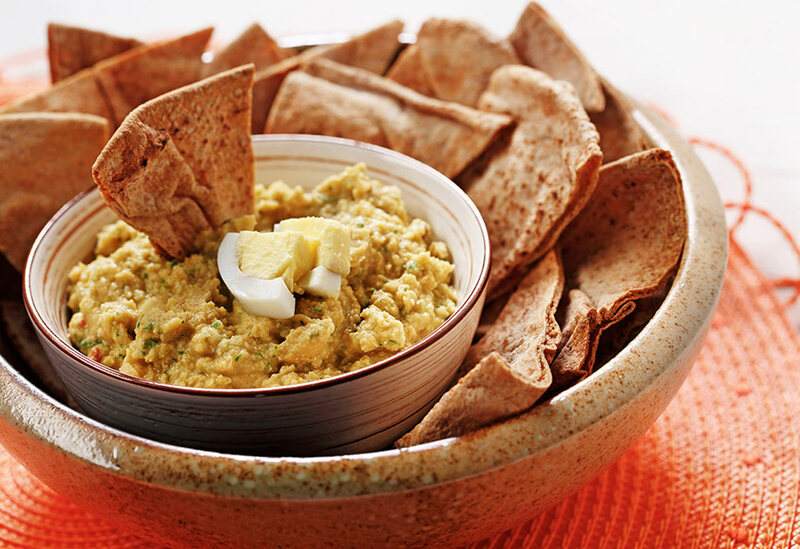 Serve hummus with crispy bread or raw veggies for an easy lunch. Canola oil’s neutral flavor lets the lively tastes of cilantro, chipotle chili and cumin step to the fore.